Apparently, I have hit a bit of a wall here. 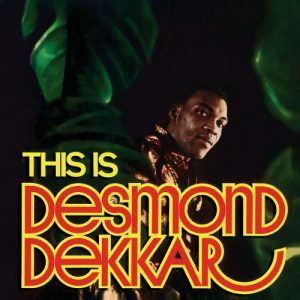 I just like Desmond Dekker- quite a bit, actually. Really, I don’t have that much to say about it other than that. Which does give me pause and make me want to consider the point of You’ve Got to Check This Out. I do think about that more than you might imagine (or maybe you figured that out about a hundred posts ago). So far, I’ve written much more about having a personal relationship with art than doing any sort of real analysis of the art. Ignoring the latter while talking about the former is unwise, but I’ve done a pretty good job at that. The main reason is that I originally intended to explore how art is important in a subjective way. In a very real sense, I don’t know that art can be fully appreciated objectively. We can evaluate the craft of art in universal terms, but it appears very difficult to predict how a specific work of art is going to impact a unique individual. When we deny ourselves the time to consider the art in our lives and the art that is available to us, then we deny ourselves participation in some of the most basic qualities that make us human: communication, empathy, self-expression, tool mastery, etc. of the diagram from the artist- we are the audience. That can be an uncomfortable seat. In many ways, it is the challenge of picking the right pew at church or the right stool at the bar. Your neighbors are going to heavily influence the next couple hours. They may very well be inclined to communicate in ways that make us quite uncomfortable. Consider a Jamaican artist who produces music that is initially released only in Jamaica. I doubt that he had expectations of reaching a significantly larger audience, though he likely had such aspirations. Given all that, I am willing to guarantee that he did not expect a pre-schooler at that time living in Ohio to celebrate the advent of Spring nearly five decades later by driving around in his car blasting his music somewhere near the Canadian border. I’m not sure why I like ska and reggae and rock-steady. Pretty much everything about me screams that I should be listening to a lot of Willie and Waylon (which happens, too). Sure, it might be generational or college-related. The reality is that it takes effort to listen to anything and I don’t do it nearly enough anymore. You’ve Got to Check This Out is a blog series about music, words, and all sorts of artistic matters. It started with an explanation. 125 more to go.